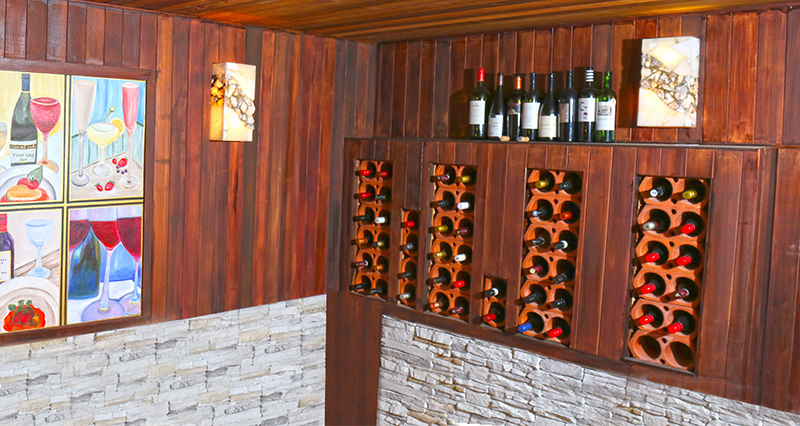 Wine Racks are a perfect product of design. Its composition and clay improves the conservation and storage of the wine. Terracotta wine racks hold each bottle individually and you’re able to stack them up and against each other. They sit side by side and on top of one another, so are ideal for a large space or a small cupboard. The natural cooling properties means the wine is always kept cool. 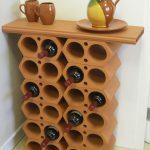 What is a terracotta wine rack? Terracotta is a fantastic material which has been used extensively in sculpture and pottery, as well as buildings (many years ago). 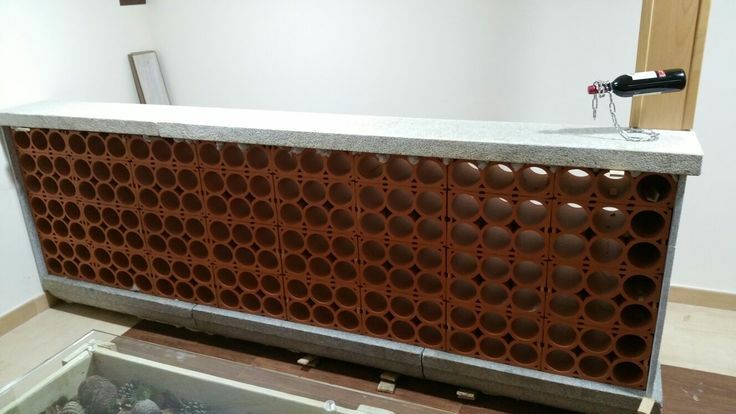 Terracotta is a robust material built to last. Therefore terracotta is the perfect choice for your wine bottles. The terracotta material is practical and sturdy holding your bottles safely and securely. Terracotta’s natural cooling properties will keep wine cool so it’s very practical. Terracotta wine racks can hold a number of wine bottles. If your wine collection grows you simply add another hexagon to your wine rack. This allows you to continue to collect bottles of wine without worrying about storage! 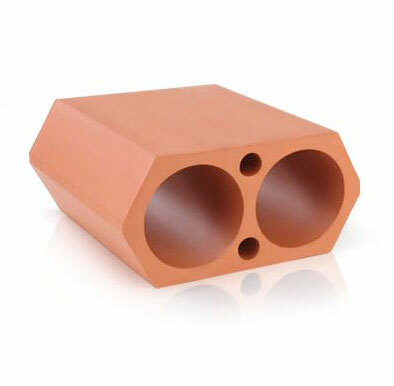 Terracotta is a versatile material. Terracotta is aesthetically pleasing – natural beauty. Terracotta is used to store valuable collections for a long period of time. The material will not deteriorate in humid cellar conditions. 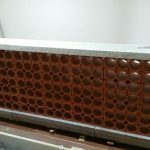 Terracotta helps to maintain temperature. The individual terracotta hexagons can be assembled together in a range of different ways. 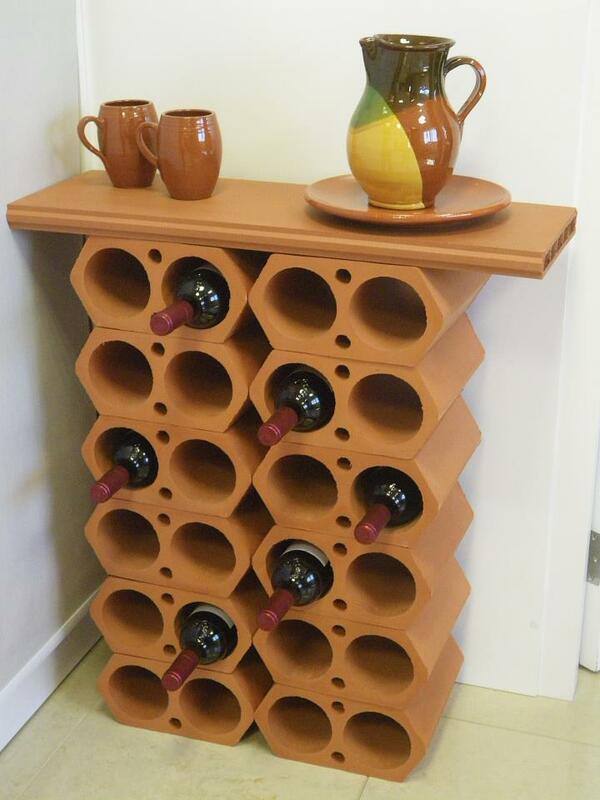 If your wine collection grows so can your terracotta wine rack. Simply add more hexagons! Stable design ideal for your kitchen or cellar. 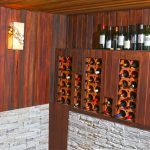 Practical wine rack solution – long lasting design. Natural brownish colour can match your décor. Terracotta wine racks look fantastic in a bar or restaurant.